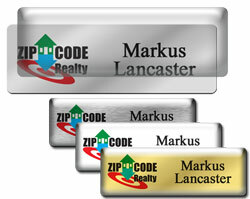 Our blank metal Name Tags come in Brushed Silver, Shiny Silver,Shiny Gold, Brushed Gold, White and Black. 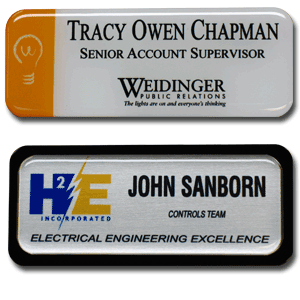 We do not customize these name tags with individual names. 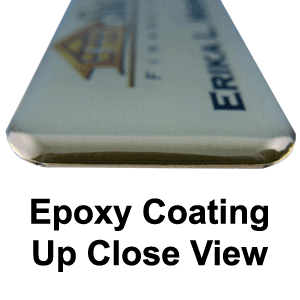 A P-touch labeling system can then be used to add the individual's name to the tag and change them as needed. 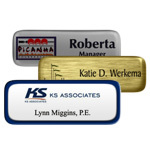 If you are looking for name tags with individual names, see our standard plastic or metal name tags.